As a solar consumer Europe already plans to re-establish itself as a leader. European solar’s share of total consumption, 5% in 2018, is set to be 36% by 2050. There are three main drivers for progress: increasingly ambitious national targets, the rise of low-cost solar helped by the increase in CO2 costs, and digitalisation. But what about manufacturing? Practically all Europe’s solar cells are bought in cheaply from China and the Far East. Batteries and other components are following the same trend. But those cheap manufacturing processes use energy from polluting coal power plants. Talk of imposing rules that add a product’s life-cycle carbon footprint to the equation may see manufacturing return to Europe. Terje Osmundsen scopes out Europe’s solar fortunes. Reading and digesting my notes from the Solar Power Summit held in Brussels on March 6th and 7th, an amazing and somewhat surprising pattern started to form in my head. Europe, led by Germany, was at the forefront of the first solar revolution. However, they fell behind the US, China and India in the current, second, grand forward leap for the solar industry. But enter the 2020s, with unsubsidised solar, energy-smart homes and communities, greening of corporations, and zero-emission hydrogen, Europe may well re-emerge as a global powerhouse in the era of the solar-centric energy system. First, let’s take a look at the numbers. Since the start of the first commercial solar PV installations in Germany in the 1990s, approximately 110 GW of solar power has been installed in Europe, representing about 23% of all solar power generation capacity installed worldwide. However, in the period from 2013 to 2017 Europe installed on average no more than 4–6 GW per year. Now this is about to change. GTM Research expects the region to install 10 to 17 GW per year through 2022, bringing cumulative capacity to 182 GW. Looking beyond 2022, Bloomberg projects that by 2050 – only 30 years from now – the installed capacity will have increased to 1,400 GW, a nine-fold growth over the coming three decades. Bloomberg New Energy Finance projects very strong growth in European solar PV installations. 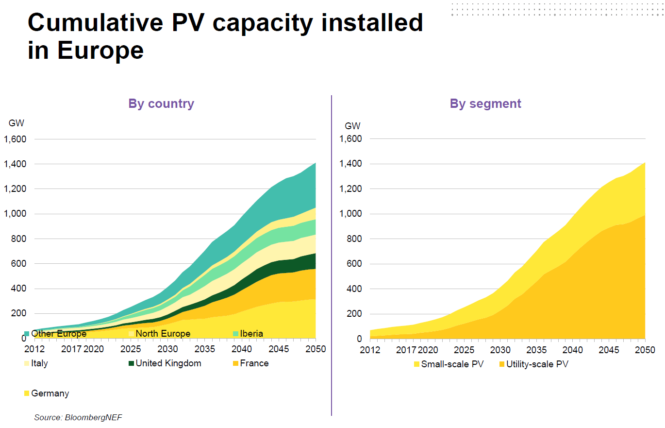 (Source: European Market Outlook presentation/BNEF, Solar Power Summit). Spain is an outstanding example of the revival of the solar business in Europe. Since the «solar bubble» exploded about 10 years ago, the country has on average installed no more than 100-200 MW solar PV per year. 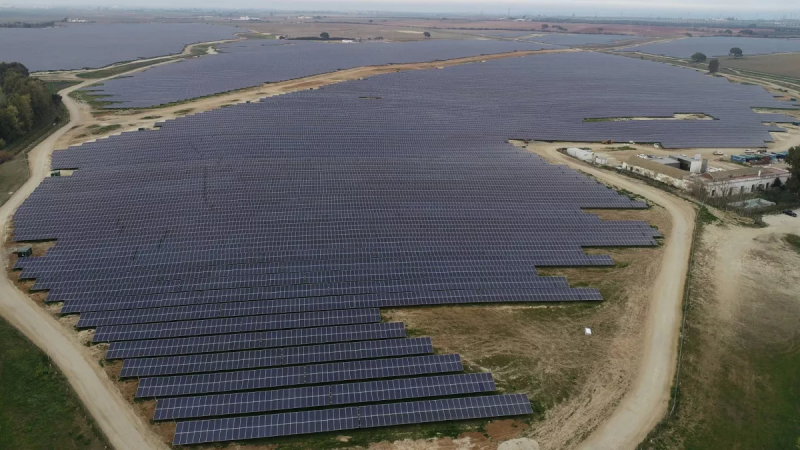 UNEF, Spain’s PV industry association, projects a yearly growth of 3,000 MW (3 GW) of solar PV over the next years, increasing total installed capacity from 5 in 2018 to 42 GW in 2030. This is more or less what the Spanish government and the solar industry reckon will be required to meet the national targets of 74% renewable share of the country’s electricity mix by 2030. Solar is set to become the largest source of electricity generation in Europe by 2050, increasing its share of total consumption from about 5% in 2018 to 36% in 2050. The main driving force behind the renewed optimism is the targets set by EU countries to reduce the continent’s greenhouse gas emissions by 40% in 2030 and 80% in 2050. Most observers expect the EU to set more ambitious targets later this year. Researchers at Lappeenranta University of Technology (LUT) and the Energy Watch Group (EWG) have modelled the role of solar in an energy system based on 100% renewable energy by 2050. In this scenario, solar will provide nearly 2,000 GW of power generation in Europe, of which nearly 700 GW will be utility-scale and nearly 1,300 GW rooftop solar PV. This renewable power system would be backed by around 3.6 TWh of battery storage. The second driving force is the rise of low-cost unsubsidised solar combined with the increase in CO2 costs, making solar an increasingly attractive alternative to coal and natural gas also from an economic point of view. The rapidly declining cost of solar is not only driving governments and utilities to issue more tenders and programs for solar installations; it has also started a wave of businesses buying solar to cover their own power consumption. In its high-growth scenario, Solar Power Europe expects the yearly market for roof-top renewables in the commercial and industrial sector to grow from about 1,600 MW in 2018 to 6,000 in 2022. 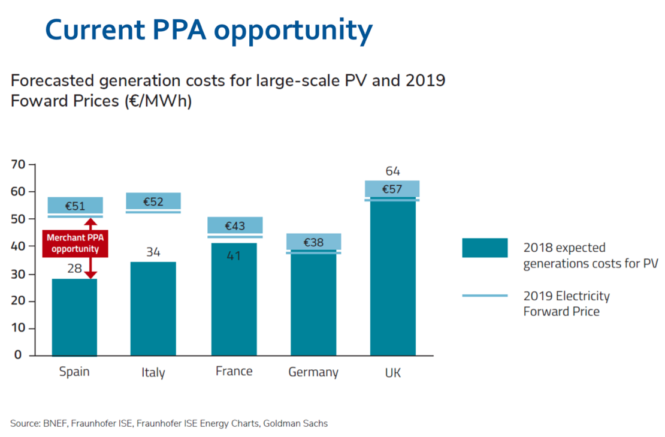 Large-scale solar PV looks cost-competitive in large European markets. (Source: Solar Power Summit presentation). Large energy users need more space than rooftops to cover their needs, and have therefore started a new trend: to buy power from dedicated wind and solar plants. The 175 MW Don Rodrigo solar PV plant south of Seville in Spain, developed by the German developer BayWa r.e., is here an example. Falling equipment costs, high solar irradiation, supportive local governments and innovative plant design are all factors explaining the success of Europe’s first subsidy-free utility solar PV plant. The abolition last year of EU import duties on solar modules from China was also helpful. The factor unlocking the investment was the 15 year off-take contract with Statkraft, the Norwegian state-owned clean energy power producer and seller, who will offer the solar power from the plant to corporate customers seeking 100% renewable electricity supply. The plant is now 100% owned by the asset management arm of Munich Re, the giant global reinsurer that is also a leading force in the movement urging the finance industry to take on climate investments. Since the construction of Don Rodrigo started last year, we have seen announcements of several similar large-scale subsidy-free PV projects in other countries, notably in Germany, Portugal, Spain and even the UK. Bloomberg reports that a total of more than 4 GW of unsubsidised solar power purchase agreements (PPAs) had been announced by February 2019. One example of businesses procuring solar power is IKEA, that has installed 900,000 modules, 154 MWp, on its own roofs, generating 81% of its total power consumption. IKEA intends to use corporate PPAs to become 100% self-sufficient with renewable energy. Another player to watch is «RE 100», a global club of 155 «green corporations» that has set a target of being powered 100% by renewable energy. The club is recruiting new members in Europe and is also a founding partner behind a new initiative called «RE-Source»; a platform lobbying for frameworks supporting corporate renewable energy sourcing in Europe. The lesson from the Nordic power market, hitherto the largest large-scale corporate PPAs in Europe, is clear: building an integrated electricity market enabling cross-border long-term power sale contracts is a key enabler for a sustained growth of corporate PPAs. The third driving force behind Europe’s solar revival is digitalisation, strongly enabling energy-smart homes, communities and grids. Solar Power Europe believe 30 million roofs should be equipped with solar panels over the next 10 years and advocate mandatory rules for new buildings, like they have in California and the German town Tübingen. Utilities are gradually introducing incentives for building an «intelligent grid» that will accommodate a much higher share of renewables, but much more can be done according to the industry. Solar plants can be equipped with advanced power electronics and, gradually, storage capabilities that will render the power networks more reliable. Such upgrading will open up for «on demand» electricity across Europe, also integrating intelligent charging and discharging of electric vehicles connected to the grid. The result will be greatly increased demand for solar power, and also put Europe-based companies in the forefront of innovation. 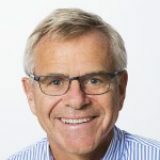 The new and somewhat surprising interest in «solar fuels» will, when materialised, further add to the emerging boom in utility-scale solar PV. A handful of experienced developers I met at the summit were involved in «power-to-gas» initiatives, targeting to sell hydrogen from solar-powered plants, as that blended with natural gas would serve as fuel in gas-fired power plants. However, as the cost of solar power falls below $ 0.05/kWh in southern Europe, hydrogen producing companies like NEL claims it can also make a feasible business case for producing hydrogen and transporting it to the pumping station. The projected growth in both electric and hydrogen-driven transport should translate into additional demand for solar power in Europe over the coming decades. Job creation – but where? But how will a solar growth scenario as outlined here affect jobs and technology innovation in Europe? According to a report by Ernst & Young (EY) prepared for Solar Power Europe, reaching 20% market share for solar in 2030 would translate into more than 500,000 new jobs by 2030. Europe will without doubt continue to excel in software, services, installation and fundamental technology, but what about manufacturing? Today, practically all solar cells installed in Europe are imported from China and other Far East countries, and many fear this pattern will be repeated for power electronics, batteries, etc. A question then is whether or not Europe should develop an industrial strategy that also includes some protection for Europe-based manufacturers. When it comes to batteries, initiatives from the EU Commission and recently Germany and Poland have the establishment of manufacturing as objective. At this point the solar industry is divided between the remaining European manufacturers, companies like Sunpower, Wacker, and SMA plus a number of smaller module manufacturers, and the remaining industry whose main interests are «down-stream» in the value chain. However, the discussions at the summit also revealed a third position with the potential to unite both manufacturers and developers. The experience from France, who successfully introduced carbon footprint as one of three criteria of selecting solar power bidders, is now being studied with interest at the European level. The current unregulated trade in solar modules has made Europe more and more dependent on imports of products manufactured with energy from polluting coal power plants in inner Mongolia. It could be questioned if this is what Europe wants. The outcome of the debate could be mandatory standards for the modules’ energy efficiency and life-cycle carbon footprint, as part of EU’s new Ecodesign Directive for example. Clearly Europe has the potential, but is it ready to play a leading role in setting the standards for tomorrow’s solar-centric energy era? This article is published with permission. Unique track-record in the pioneering of solar power development within emerging markets in the position of Senior Vice President for Business Development at Scatec Solar AS, from 2009-2017. Extensive executive management experience from the Oil & Gas sector and diverse engineering and publishing industry platforms. Seasoned board member, including seats on infrastructure investment companies and clean tech companies. Chairman of Caritas, Norway. Background from politics and government, including the Prime Minister´s office. Ph.D. from the schools of Political Science, Economics & Law. Please notify me by email when new comments are added. When you submit your comment, you will not see a confirmation message (unless some fields are empty). Your comment will go into a queue for moderation. We aim to moderate all comments within 1 business day. Please see our comment policy for more information.